For those on a budget, you’d be hard pressed to find a better deal than one of our cheap car rentals. At www.affordablerentacarandsales.com, we believe that your travels don’t have to be limited to cramped legroom and limited luggage space. That’s why we provide our customers with compact and economy car rentals for their trip. 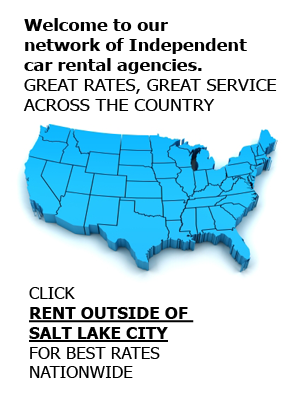 If you’re looking to rent a car while you’re in Salt Lake City, contact our rental agents at (801) 266-7368 today, and ask about any or all of our services, including complimentary airport shuttle. As our name suggests, we make it affordable for our customers to travel. Whether for business, pleasure, or as a replacement vehicle, a cheap rental car offers more than just four wheels and an engine; unlike its predecessors, compact cars now offer more room on the inside than ever before. And at a price that can’t be beat, an economy car rental keeps your budget intact. We combine our car rental options with excellent customer service for even more bang for your buck. When flying into Salt Lake City, UT, you’ll be glad to know that we offer a courtesy airport pickup service that will grab you and your luggage, bring you back to our rental office, and then return you to the airport when you’re finished with your business in the city. Have the peace of mind that you won’t need to rely on taxi services and poorly planned shuttles. In addition to cheap rental cars our fleet also contains some larger makes and models, including numerous standard car rentals, midsize cars, full-size cars, and luxury car rental options. We even rent SUVs, vans, and pickup trucks to our customers, including production companies. Call us at (801) 266-7368 today if you’d like a free quote or to learn more about any or all of our services, as well as our used car sales.